Bosnia, Kosovo, Macedonia, Montenegro and Serbia to discuss the strategy to settle the migration crisis. The results of the meeting is to be presented on Thursday, on February 25, at the meeting with the EU member-states’ foreign ministers. - If the refugees have no document or forged documents, they will not allowed on the territory of the states. The immigration policy of the European Union rejects, at its foundation, any form of collective identity. This has caused the intensification of ethno-social conflicts. As a result of this migration, EU politics in Europe has changed as it has become populated by ethno-social groups of migrants from the Middle East, who are in fact the bearers of an archaic and stable Islamic consciousness, which is not known by the average European. The exaggerated principles of tolerance, rights of individualism and multiculturalism, requires that the European political elites give to migrants the maximum liberties and do not require anything in return. 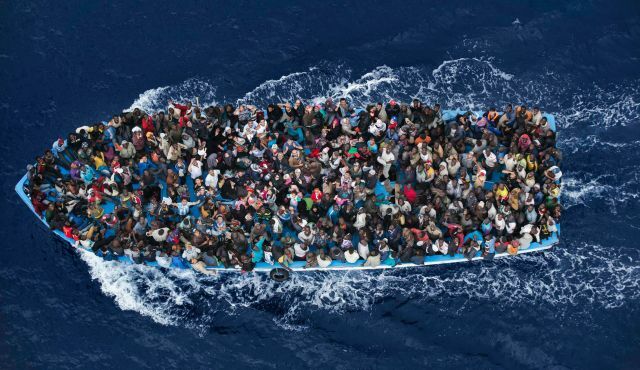 As the result of this migration policy in the EU in 2015: 1) the balance between the native Europeans and migrants was broken; 2) the giant socio-cultural pole of an Islamo-Arabic population was created ( the fact of its existence is fully ignored by liberal European elites, because of the absence of the criteria of a collective identity in modern European law and politics); 3) the nutrient medium for the creation of the structures of radical Islamism were created (among the migrants were members of radical Islamic groups). Today, Europe start to form an alternative course of the EU political actor. The European Union is not able to defend European interests, being a mediator of the Atlanticism in Europe. The European countries face with the need to develop alternative to the “tolerant” EU policy. The Alternatives are establishment of border controls, strict migration policy, reduction of benefits for refugees. Britain offered the requirement to give social benefits to migrants after 4 years of living in the country; Hungary will build a wall on the border with Romania and will soon hold a referendum on the EU's plans for the allocation of quotas for migrant workers; Austria and the Balkans are developing a strategy to reduce migration influx. “No one asked the Europeans about whether they support, endorse or oppose quotas for migrants”, said Viktor Orban.